Interested In Something Like This? 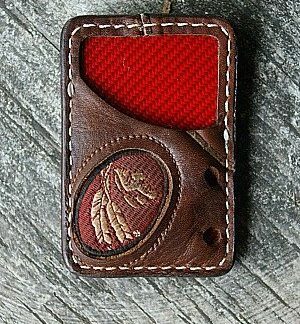 We have made lots of wallets from Nokona, Rawling, and other baseball glove leather. But now, we have a belt. 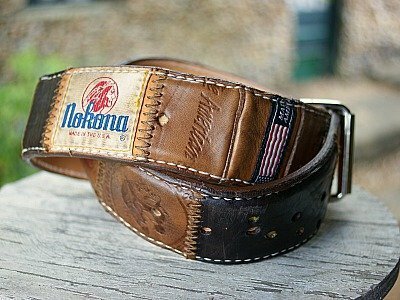 This baseball glove leather belt will not just hold up your pants. 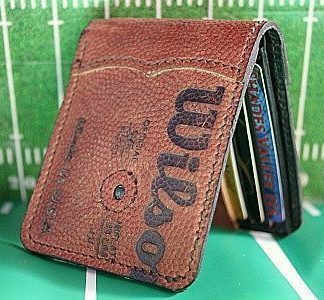 It will feel like holding your glove again, every time you hold it. “Thanks for the Memories,” as Fallout Boy likes to sing. You’ll be travelling down memory lane every single time you wear it. Yeah, the good old days. Or not. Maybe you’re just a huge baseball fan. 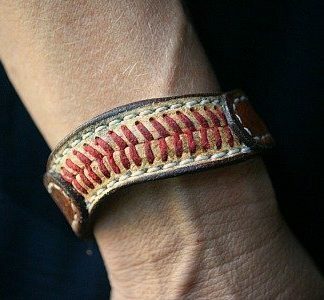 OK, get a baseball glove leather belt made from your glove or someone else’s. Really doesn’t matter to us, but you know, it will matter to you. Don’t waste time. Start throwing things around in the basement and you’ll find it. Send us your glove! Have Question? Send Us an Email!